* The first edition of ANUFOOD Eurasia – powered by Anuga had achieved a thoroughly good result. The new food fair for the Eurasian region presented 212 exhibitors from 29 countries displaying the entire diversity of the food industry. More than 5.900 visitors from 91 countries took the opportunity to gather information and place orders. On closing its doors after three successful trade fair days, the first edition of ANUFOOD Eurasia powered by Anuga had achieved a thoroughly good result. 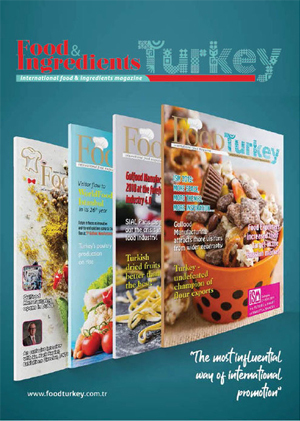 212 suppliers from 29 countries presented the entire diversity of the food industry at the Tüyap Fair Convention and Congress Center in Istanbul. The share of foreign participation was 42 percent. The trade fair premiere, which was jointly organized by Koelnmesse and Reed Tüyap, aroused great interest among the trade visitors. Including estimations of the last exhibition day, about 6.000 trade visitors with an international share of 25 percent from around 70 countries took the opportunity to gather information and place orders. “With this result, ANUFOOD Eurasia has confirmed its claim of positioning itself as the new marketplace for the food and beverage industry in the Eurasian region,” commented Denis Steker, Vice President International/Outbound Fairs at Koelnmesse. “The exhibiting companies reported about very good discussions with relevant buyers from Turkey as well as from neighboring countries. The trade fair was able to generate valuable impulses for long-term business relationships in the region.” Ali Muharremoglu, General Manager of Reed Tuyap Exhibitions added: “The premiere of ANUFOOD Eurasia absolutely satisfied the expectations of both the exhibitors and the visitors”. The supporting program additionally promoted the exchange between the international exhibitors and the trade visitors via seminars and discussions on the Turkish food market. Especially the services of the international Hosted Buyers Program as well as an unique matchmaking with relevant Turkish supermarket chains at the trade fair led to satisfaction for both exhibitors and trade visitors. For national visitors from the hospitality sector, daily live cooking events with star chefs offered further added value. In total, 212 exhibitors from 29 countries presented their offers ranging from fine food, frozen food, meat and dairy products, chilled and fresh food, to bread, baked goods, sweets, beverages, organic food and Halal products, through to services & RetailTec, associations, organizations and IT service providers. Numerous top players were represented from Turkey, especially from the sweets and bakery products segments. Among others, Ülker Eksper, Uno Gida, Penguen Gıda, Beşler Sucuk, Çaykur, Balparmak Gıda, Kom Gıda, Gesaş İç ve Dış Tic., TAT Bakliyat, Doğanay Gıda Tarım ve Hayvancılık and Yayla Gıda ve Malatya Pazarı presented their products to the international trade visitors. Above all, with a share of approx. 42 percent of foreign exhibitors, the majority of them from Europe and Northern America, ANUFOOD Eurasia clearly positioned itself as the new business hub in the Eurasian region. “ANUFOOD Eurasia 2015 provided the professional platform for our company and we could meet the reputable distribution companies and chain stores within this event”, is how Hosseini Pour, Export Director of LINA Nik summed up the event. “For sure, we will participate at the next editions to keep our contacts and business relation and will expand our business in this region.” In particular, Poland, Iran, Bulgaria and Germany were strongly represented. Beyond this, international companies such as Agribusiness (Tunisia), Bell Plantation (USA), Minex (Pakistan), Natur Bravo (Moldavia) and Saharkhiz Saffron (Canada) were also present. The exhibitors were particularly impressed by the quality of the trade visitors. “This exhibition was a great success for us. We made promising contacts here and our products have been well accepted”, stated Diyan Milkov, production director Agro Bio Seeds ltd. This was underlined by the high number of business deals transacted directly on-site at the trade fair. The majority of trade visitors came from Turkey, whereby buyers from the Iran, Georgia, Bulgaria, Greece or Egypt were also registered. “We never thought before to find serious clients from North Africa, Georgia and Bulgaria and it was perfect. We are the manufacturer of dairy and ice cream and this event helped us a lot to find a foot print in Eurasia”, rated Mehdi Misagh, Deputy of CEO of Zarrin Ghazal Company, the quality of the visitors. The supporting program convinced the trade visitors on all three days of the fair and generated an intensive international exchange. A trade conference on the chances and risks of the bilateral trade was held in cooperation with DTFOOD, a contact and communication platform for the bilateral German/Turkish food industry, which also provided information on the theme of entering the Turkish market. In addition, Innova Market Insights, a market research institute for food and beverages, held a seminar offering insights into the global and regional market trends. The event was rounded off by ‘live cooking demonstrations’, during which distinguished star chefs impressed the audience with culinary delights of the Turkish cuisine. The cooking shows went down particularly well with trade visitors from the hotel and catering sector. The vast activities of the organizers to create added value to the participants of the exhibition led to a well-received international Hosted Buyers Program as well as a matchmaking area, where Turkish supermarket chains had the chance to meet innovative exhibitors personally in a private atmosphere. The second edition of ANUFOOD Eurasia is scheduled from 14 to 16 April 2016, i.e. one month earlier than this year. 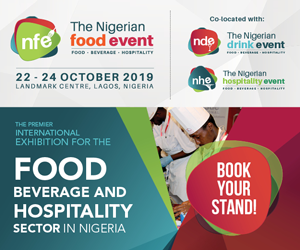 The organizers are thus accommodating the request of many manufacturers to align the dates of ANUFOOD Eurasia to fit in better with the international trade fair calendars of the F&B sector.